Air-blown fibre, as noted earlier, is blown through a microtube that is installed between the two endpoints. 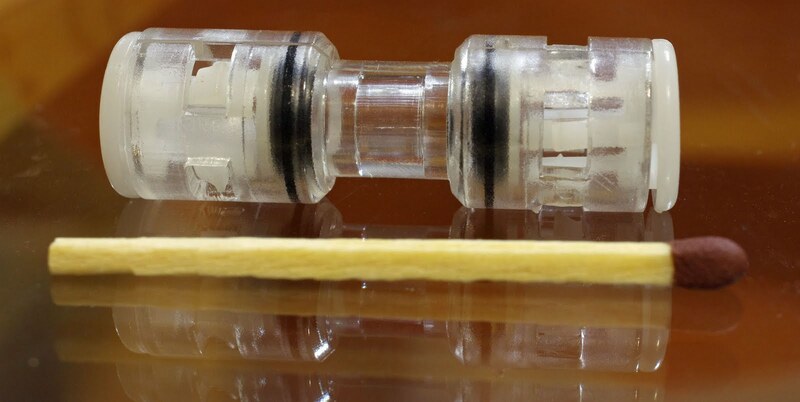 Such microtubes may be connected using various connectors. A simple example is one that provides a straight-through connection. Here is an example. To connect a tube it is simply pushed into the connector, which locks it in place. The tube it should be connected to is inserted at the opposite side. To release the tube again, the white ring at the edge of the connector is pushed inwards.